On the 8th of May, a new Little Miss hit the bookshelves - and she goes by the name of Little Miss Hug! How wonderful is that name? When I was younger and I used to read these books I always thought of myself as Chatterbox. 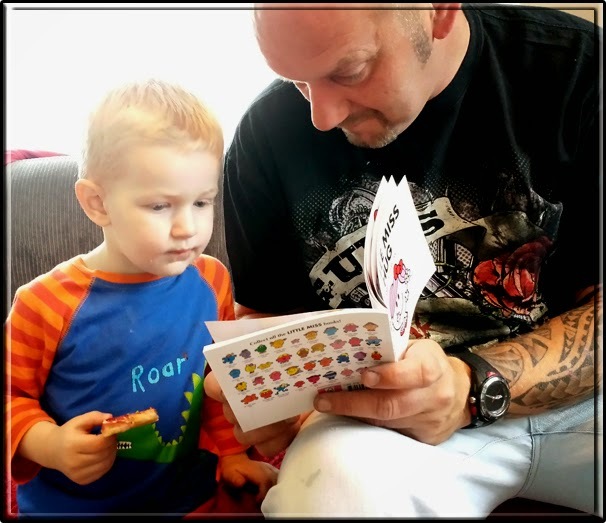 But if I were reading them again now, as my boy is, I'd like to be Little Miss Hug "Little Miss Hug is an expert hugger who knows how to give the perfect hug to all of her Mr Men and Little Miss friends in times of need and for fun" - perfect. The book sees some of our popular characters getting a hug and even half a hug (possibly my favourite bit) and is a lovely addition to the Little Miss series. Little Miss Hug makes 35 Little Miss characters, 2011 was the last time a new character by the name of Little Miss Princess was born and all these books are available at £2.99 from all good retail and Amazon and Egmont. Also, and rather excitingly Little Miss Hug has come into the techie age! There is a free interactive app available from www.MrMen.com. We are yet to use this app to its full potential but we did download it onto the tablet so we have when we are ready. To download the app you just need to visit MrMen.Com and select the first dot under the flash screen that comes up or wait for the slideshow to show the 'welcome Little Miss Hug' screen - you will be given the option to download via iOS or Android and it's free. We did find that the app froze on downloading on the iPad but it worked fine on the android - this may just a glitch on the day or due to the app being very very new. So, which Little Miss / Mr Men Character do you associate with the most? 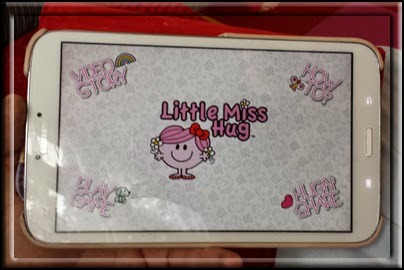 Disclaimer: I received Little Miss Hug from Mischief PR to review. The above wording is all my own and not influenced by products received.